I have cloned your form for testing and received the attached file when filling as respondent. Can you please confirm that the issue persists at your end? 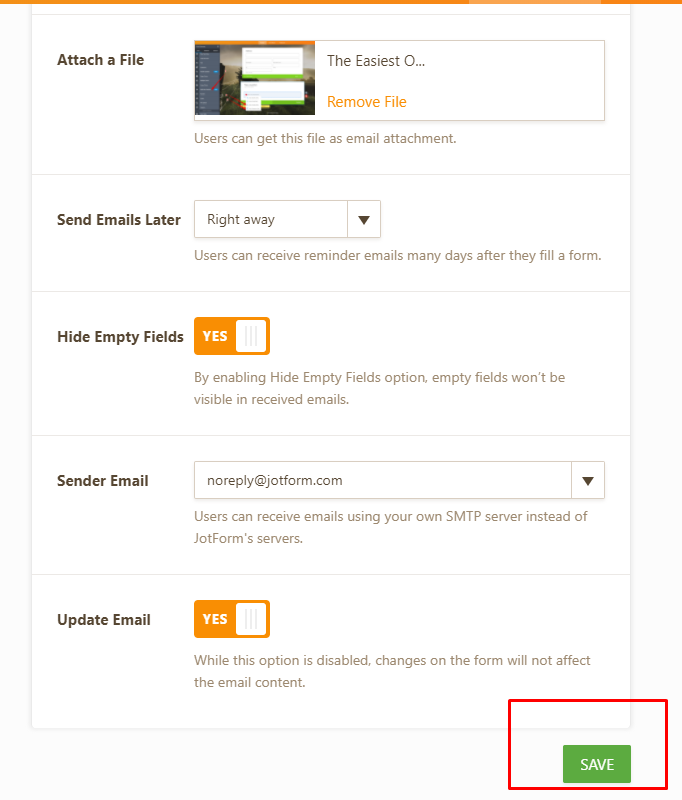 Please note, that auto-save function is only available for Form Builder and "SAVE" button must be clicked to save changes for Notification and Autoresponder emails. Hope this helps! But, do not hesitate to get back to us if you need further assistance.